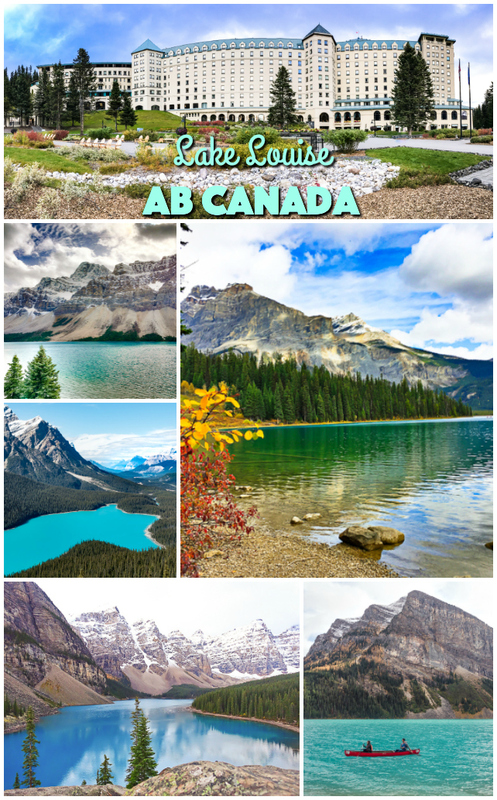 Lake Louise, AB Canada - where to stay and driving trips to the best lakes in the area. 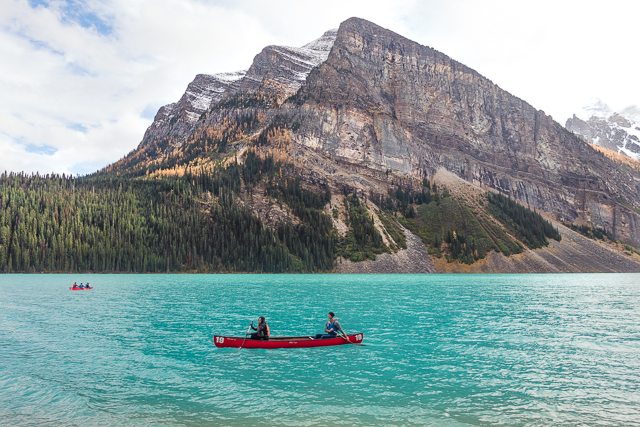 Today I'm sharing all about our trip to Lake Louise. 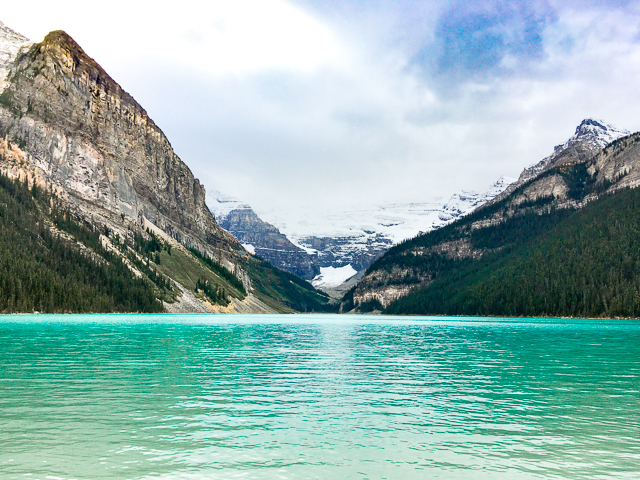 We spent two nights at the Fairmont Lake Louise. The hotel was beautiful!! 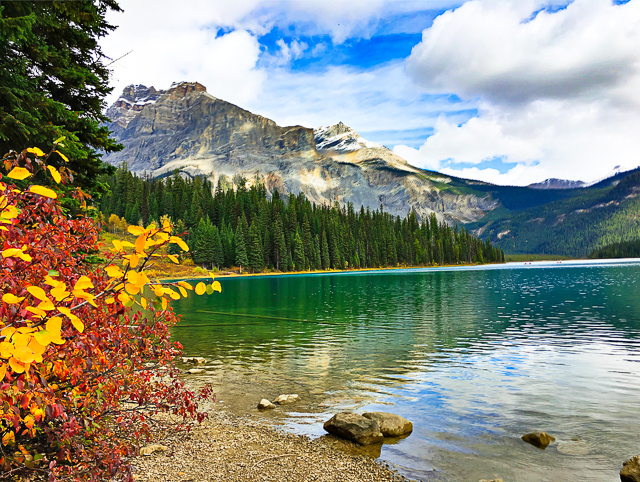 It was the perfect location to take day trips to all the amazing lakes around the area. We ate all our meals in the hotel. We had room service (awesome), sampled the breakfast buffet (so much yummy food) and had dinner at Walliser Stube (a German restaurant - get the cheese fondue!). We checked on Cookie Sunday - they gave us each two cookies when we left. OMG - the chocolate chip cookies were SOOOOO good!!! I need the recipe! 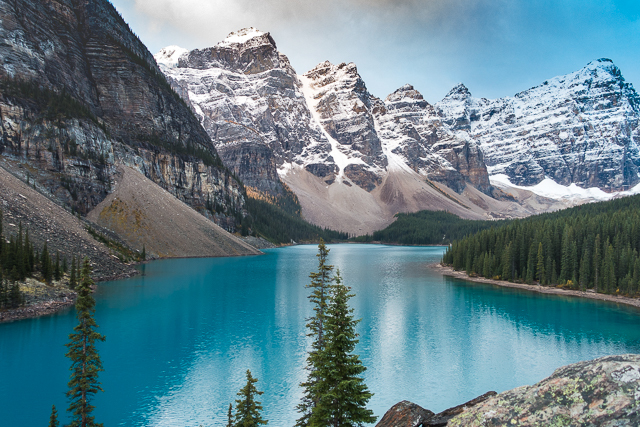 Keep reading to see all the amazing scenery. 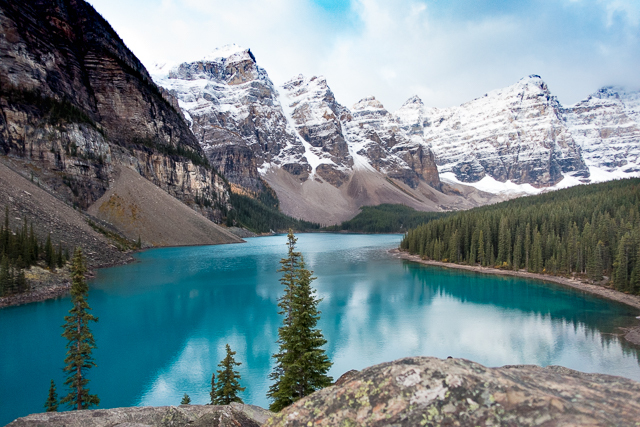 It is the most beautiful place I've ever been! 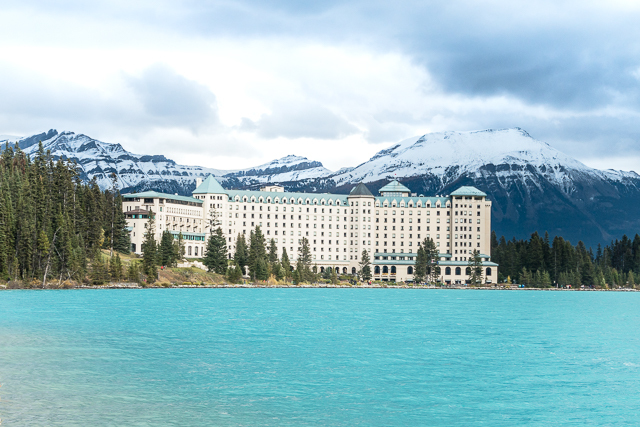 The Fairmont overlooks Lake Louise. The hotel is amazing. 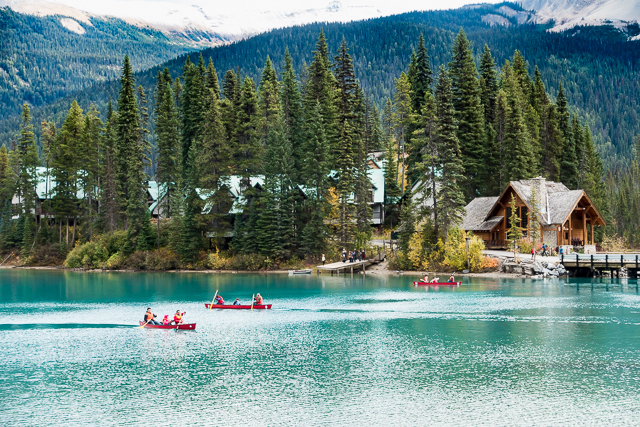 It is the best place to stay in Lake Louise. 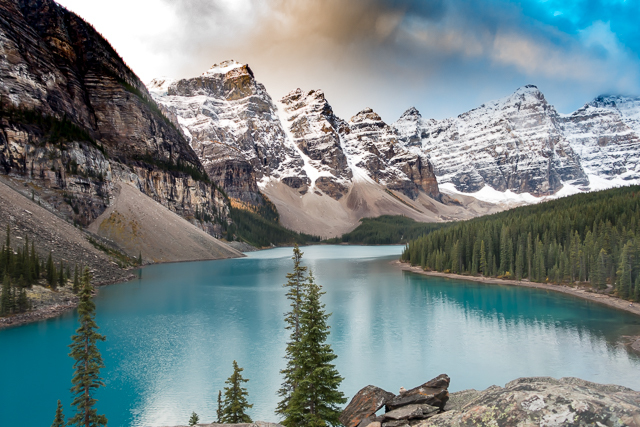 Moraine Lake is a short drive from the Fairmont. I could have stayed here all day taking pictures. Look at that water! I can only imagine how great it looks when the sun is out! 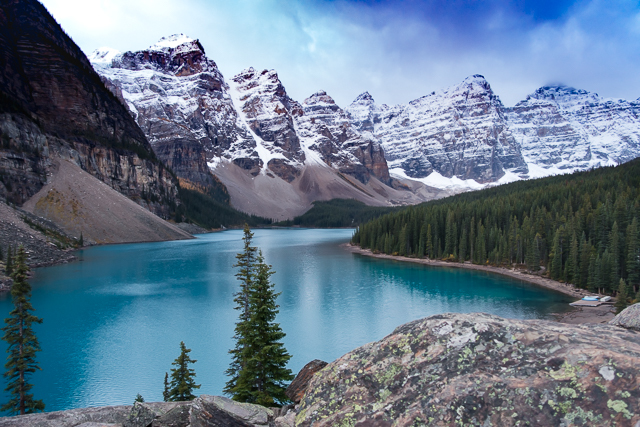 Moraine Lake is a glacier-fed lake. 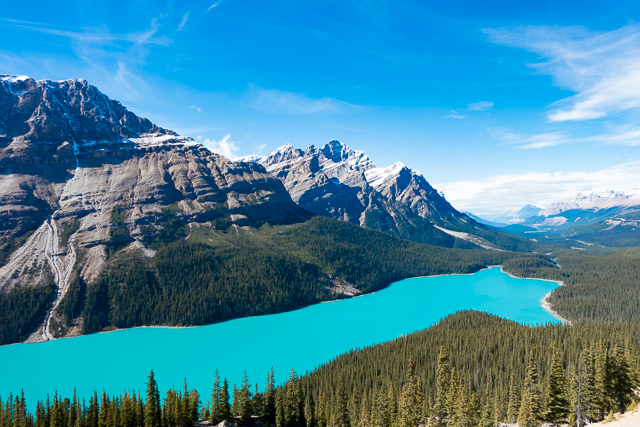 Its brilliant blue-green colour is a result of light refracting off the “rock flour” in the glacier run-off which flows into the lake. 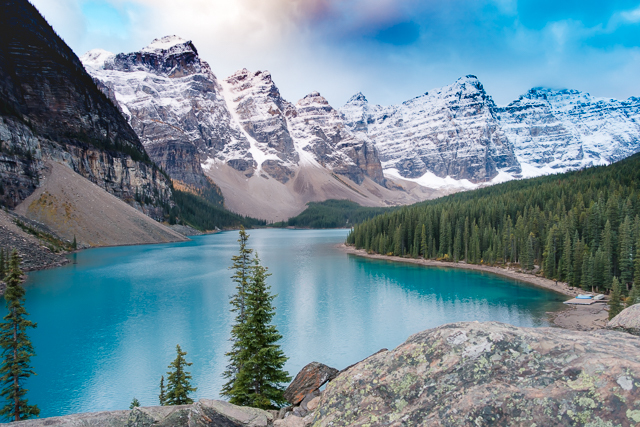 We went to Moraine Lake twice - once at sunset and once at sunrise. Unfortunately, it was really cloudy and rainy both times. We didn't get any good colored sky photos. 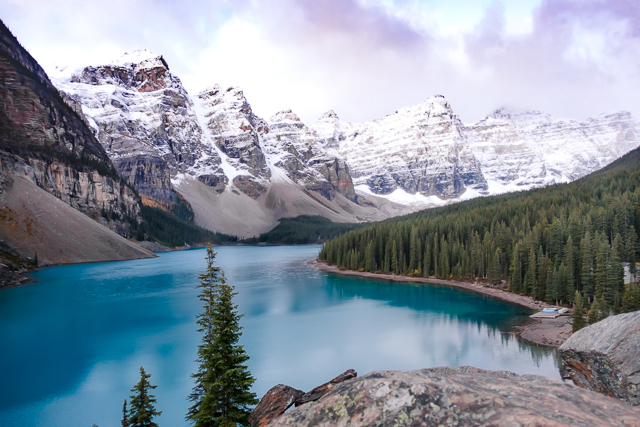 That said, it was still one of the most beautiful places I've ever been. 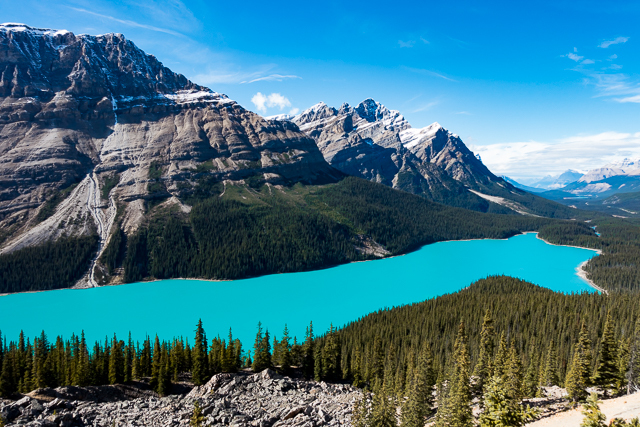 There is a staircase to the left in the parking lot that will take you right up to the top of the mountain for the best views. DON'T try and climb the giant rock pile!! Just go the back of the rock pile and use the stairs. 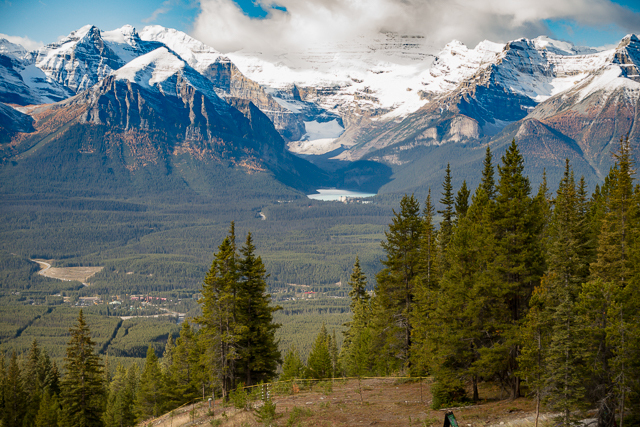 Lake Louise Gondola has great views of the area. 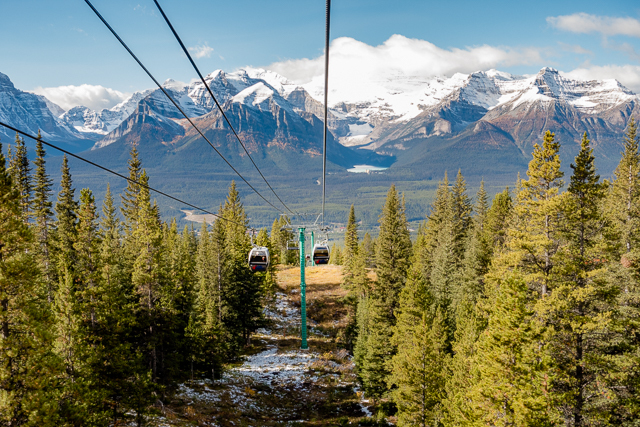 You can choose an open chair or fully enclosed gondola for the 14 minute ride. The view from 6850 feet. 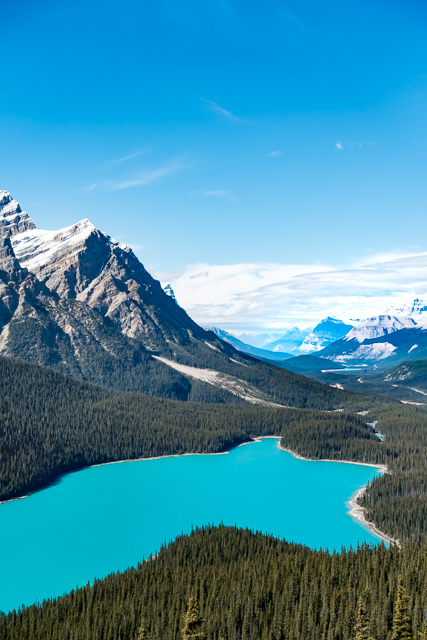 You can see Lake Louise and the hotel in the middle of the photo. Can you even believe this is real? SO beautiful! This is one of my favorite pictures from the trip. 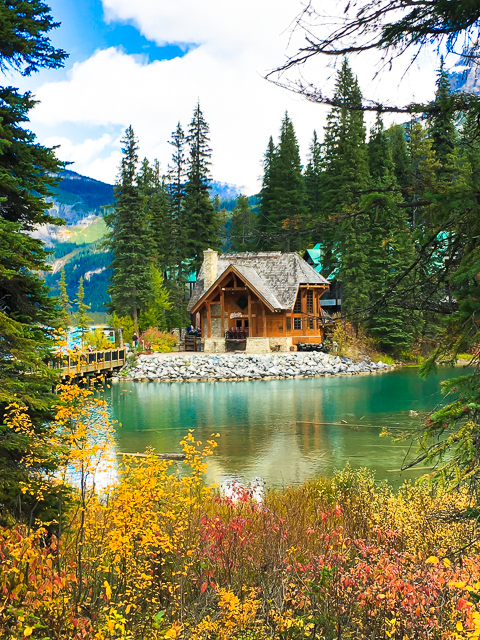 Emerald Lake is located in Yoho National Park. 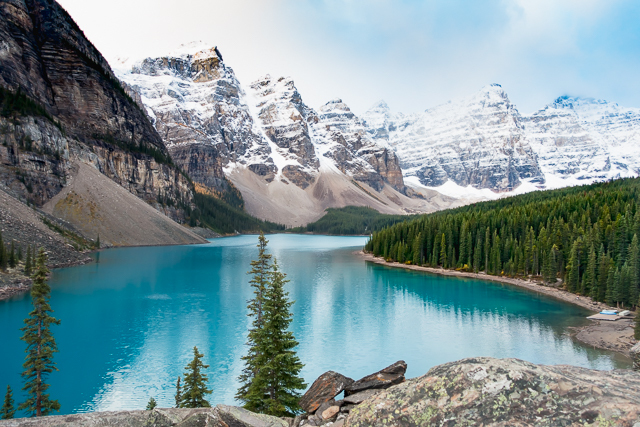 It is the largest lake in the park. 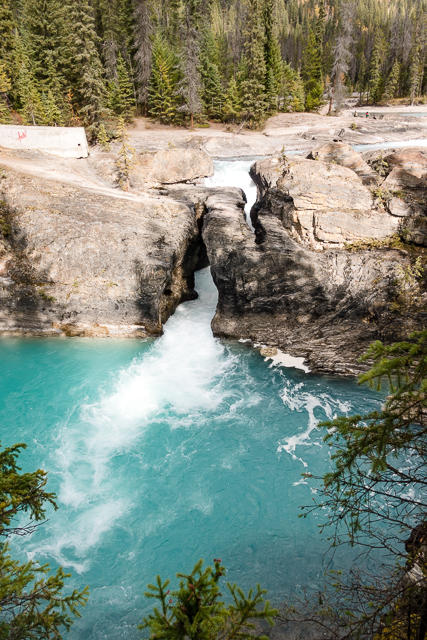 We stopped at the Natural Bridge on our way back from Emerald Lake. 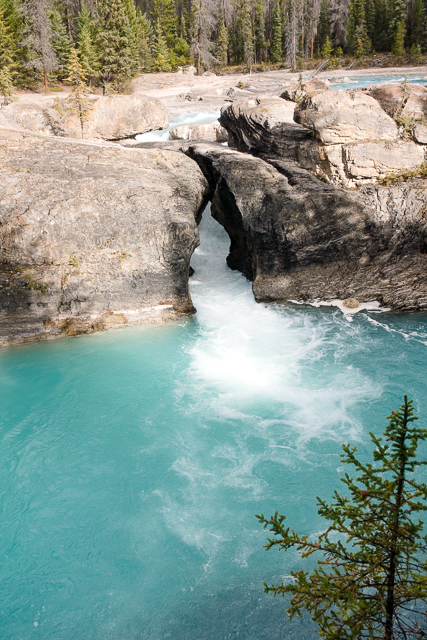 Natural Bridge is about a mile from Emerald Lake. There is a parking lot next to the bridge. 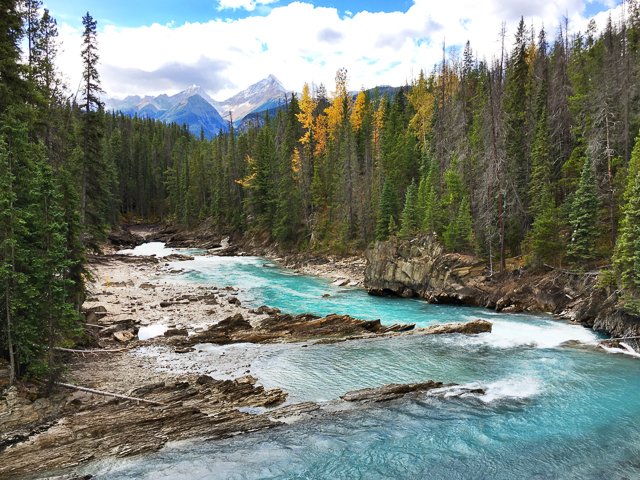 This is definitely worth the stop on the way to or from Emerald Lake. 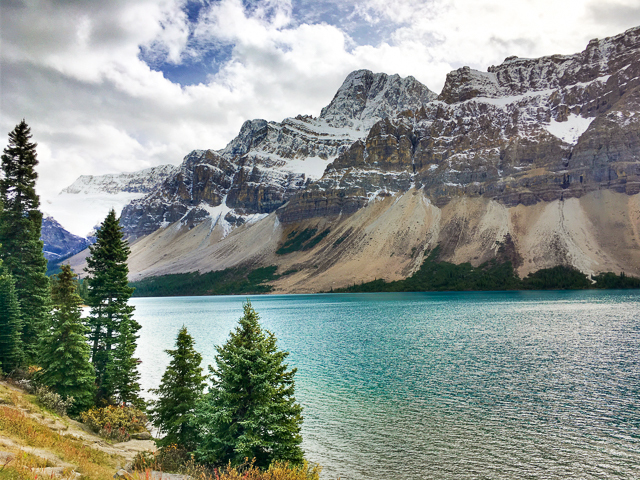 We stopped at Bow Lake on our way to Peyto Lake. 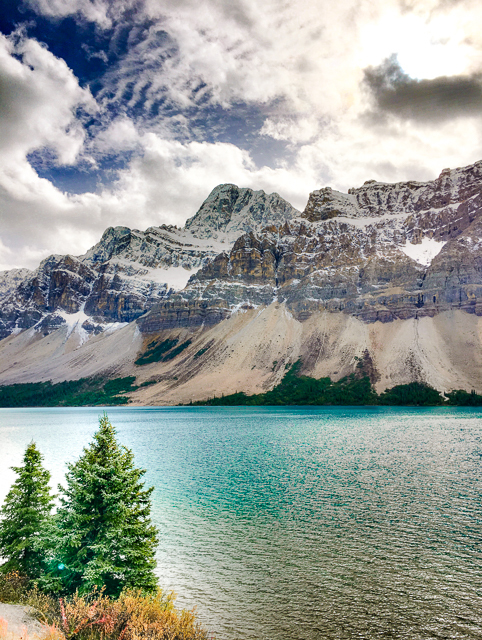 Bow Lake is on the Icefields Parkway. We just pulled over and took a few photos. 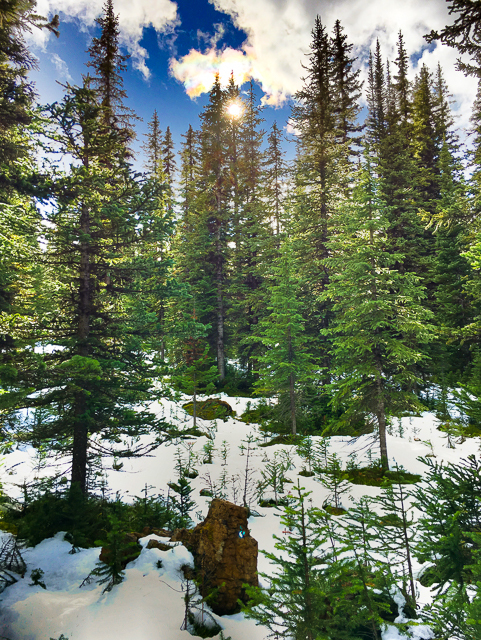 You have to walk through the Snow Forest to get to the viewing area for Peyto Lake. It was great getting to see snow! We don't get a lot in Alabama!! 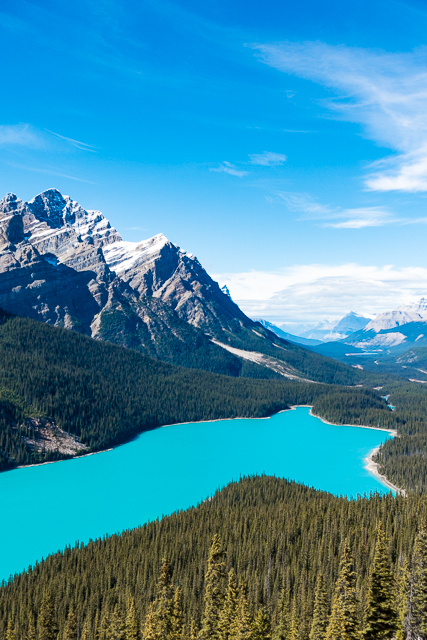 It is a good hike uphill to get to the viewing area at Peyto Lake, but it is totally worth it! Look at the water! It is not photoshopped at all. It really looked like that. 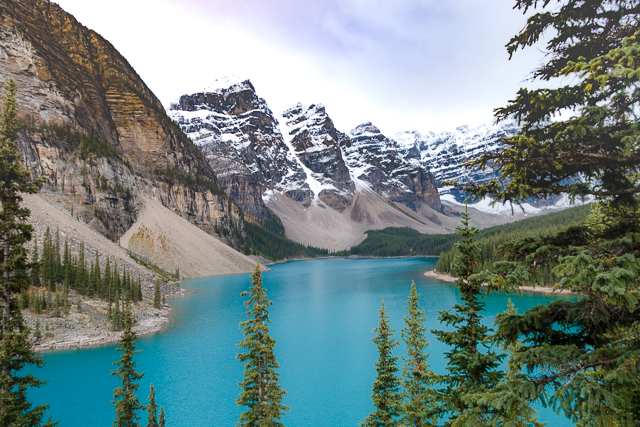 During the summer, significant amounts of glacial rock flour flow into the lake, and these suspended rock particles give the lake a bright, turquoise colour. 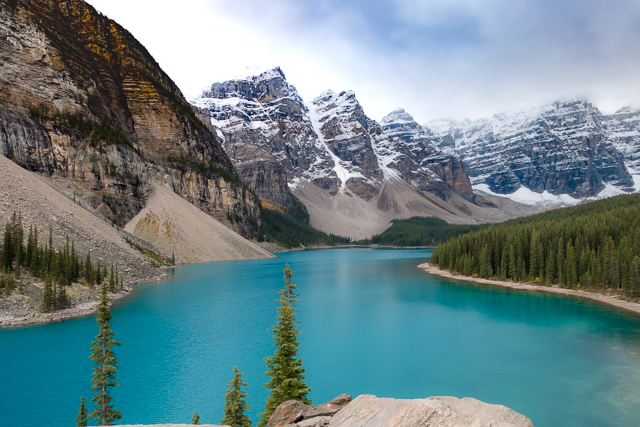 Here is a panorama shot of the lake. 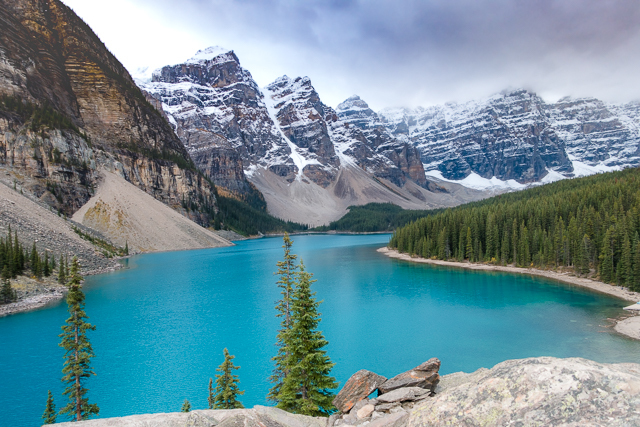 Next week I will share the last stop on our trip, Banff. We got some of the best sunrise photos EVER and ate TONS of great food! !